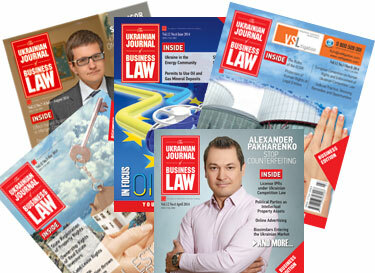 Arzinger, Asters, Avellum Partners, Baker & McKenzie, CMS Cameron McKenna, Dentons, DLA Piper Ukraine, Juscutum, LCF Law Group, RULG - Ukrainian Legal Group, Sayenko Kharenko, Squire Patton Boggs and Syutkin and Partners – are pleased to announce the public release of the second edition of the White Paper on LEGAL AND GOVERNANCE REFORM IN UKRAINE: STRATEGIC PRIORITIES /Business and Economic Sector/. 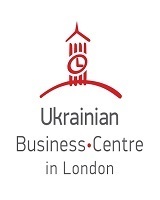 The White Paper was jointly developed on a pro-bono basis under the auspices of U.S.-Ukraine Business Council (USUBC). 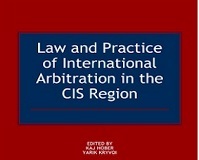 The second edition of the White Paper is multidisciplinary and is enhanced by contributions from the distinguished Commentators: Dr. Dirk Buschle, Deputy Director and Head of Legal, Energy Community (Vienna, Austria); Kyiv School of Economics (KSE); Prof. Alan Riley (London, UK); Dr. Bohdan Vitvitsky, Former Federal Prosecutor, U.S. Department of Justice, New Jersey, USA and former Resident Legal Advisor at the U.S. Embassy in Ukraine and VoxUkraine. The White Paper was presented at the second conference on Legal and Governance Reform on 30 October 2015 at the Kyiv School of Economics (KSE). Approximately 100 representatives of the legal, business and diplomatic community, civic society, academia, the Government, the National Bank and the Presidential Administration of Ukraine gathered to discuss the proposed reforms. The conference highlights included keynote speeches from the U.S. Ambassador Pyatt, who delivered an important speech on reforms and anticorruption, and from Dr. Bohdan Vitvitsky, who outlined a plan of action for building the new Anticorruption System in Ukraine. The conference received broad media coverage and resulted in several other new reform projects to be carried out by the USUBC Legal Committee. Recognizing the crucial importance for Ukraine of fundamental and systematic legal and governance reform, the USUBC Legal Committee decided to make the White Paper an ongoing project. After 18 months of work, we continue to stand by our mission: Ukraine’s current post-Soviet oligarchic and kleptocratic system needs to be entirely dismantled and replaced by a brand new, modern, fair, civilized and service-based legal and governance system. This mission requires a systematic and strategic approach, which we continue to promote in the second edition of the White Paper - we have analyzed the achievements and failures of the new Verkhovna Rada and the new Government, and have shared our advice on the course of reforms for 21 sectors of the legal and governance system. We are pleased that some of our recommendations, especially in the area of judicial reform, are currently being considered.